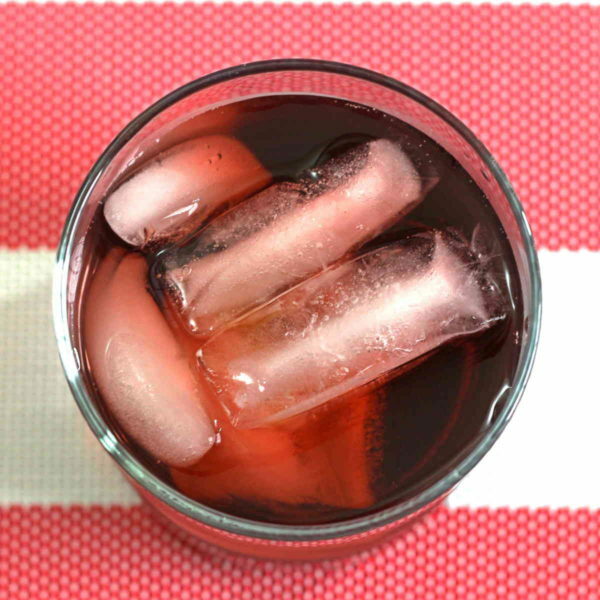 You might expect a the Spiced Watermelon Cooler drink recipe to contain some watermelon puree. Or watermelon schnapps. But it doesn’t, and there’s a reason for that. I found this recipe in an old book, under the name Watermelon Cooler. It was invented before watermelon schnapps, and before artisan cocktails. It used Midori and creme de fraises to manufacture that watermelon flavor. Then it added spiced rum and cranberry juice. I thought it was pretty fascinating, but there was a problem. The modern recipe for a “Watermelon Cooler” – of which there are many variations – always uses watermelon puree or schnapps. And modern drinkers expect a drink with a fruit in its name to contain something of that fruit. And that’s nice, but watermelon is a seasonal fruit. You can’t always get a nice fresh one to cut up and puree. 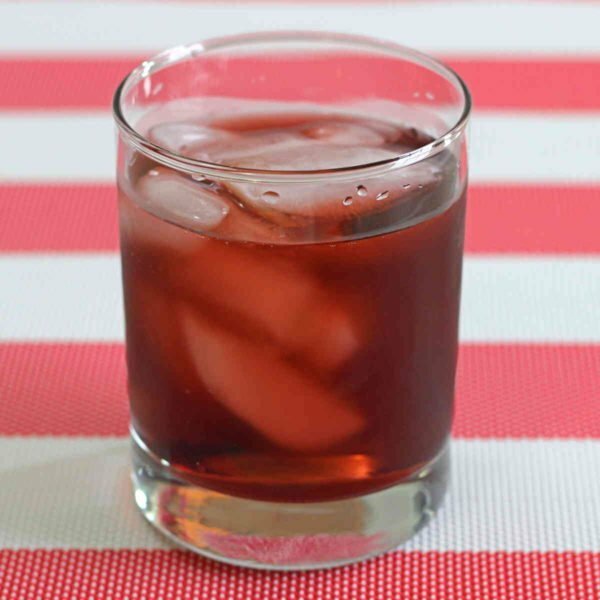 This drink makes a nice alternative for those times – something of the watermelon flavor, but made with ingredients you probably already have in your bar. So I renamed it the Spiced Watermelon Cooler and bumped up the ratio of Captain Morgan’s spiced rum from one-half ounce to a full ounce. The overall flavor is watermelon, and the drink is sweet, but the spices from the rum linger in your mouth at the finish. 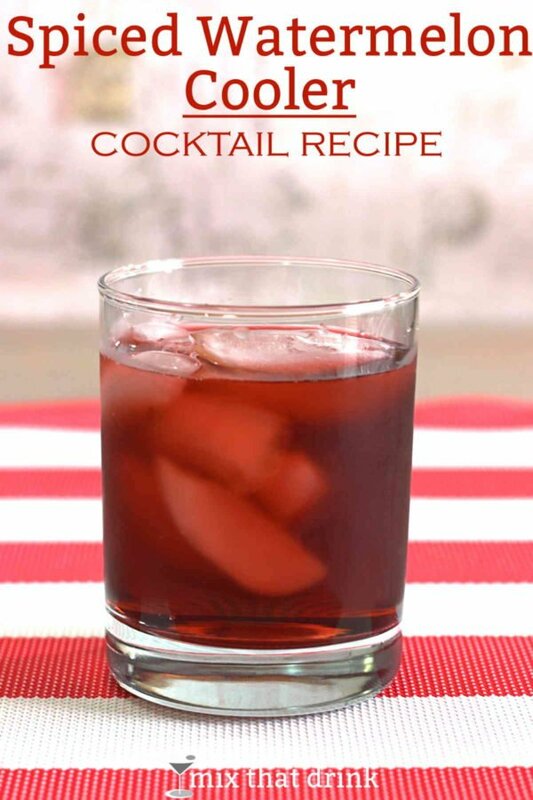 This is a wonderful drink for Fourth of July parties and for Valentine’s Day. It’s also really good for tailgating, because you can mix it up in advance and bring a pitcher along for the game. You don’t even have to keep it in a cooler, because it’s served over ice anyway. If you enjoyed this drink, check out the Fresh Watermelon ‘Rita, which is a margarita variation with watermelon puree. Fill a cocktail shaker halfway with ice and pour in the ingredients. Shake until chilled and pour into a highball glass, ice cubes and all.